pandoIQ's AI-enabled algorithms make enterprise Talent Acquisition easier and more efficient than ever. Not only do these clever algorithms automate processes and take on the grunt work to save your team valuable time, but they also make better-than-human decisions on the spot using terabytes of data, machine-learning, and AI to make sure you get the most from your job advertising spend. Best of all, they are self-learning and improve and adapt automatically with every campaign processed to adapt to whatever the labor market has in store for your jobs. Lets face it, job descriptions are subjective and full of jargon. The same job title may mean very different things in different companies. 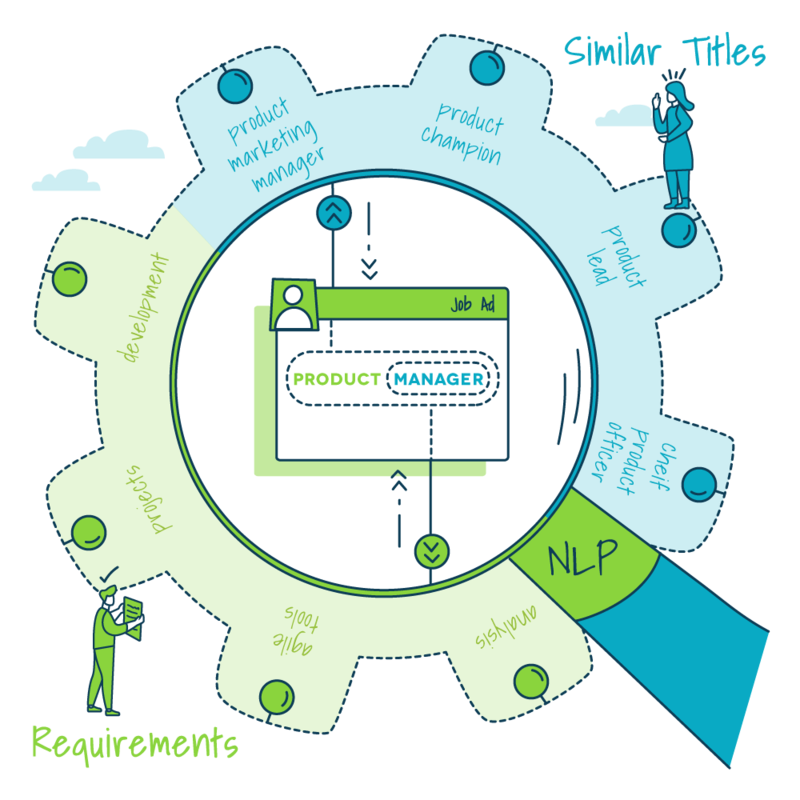 pandoIQ’s job classification algorithm goes beyond the job title and uses Natural Language Processing (NLP) on the entire job description with a vast job taxonomy to make sense of unstructured data, decipher the true meaning of job description. This allows for the right candidates to be targeted. Based on the job classification, pandoIQ’s prediction algorithm utilizes a scientific formula derived from machine-learning technology and 10+ years of historical performance data to predict performance. 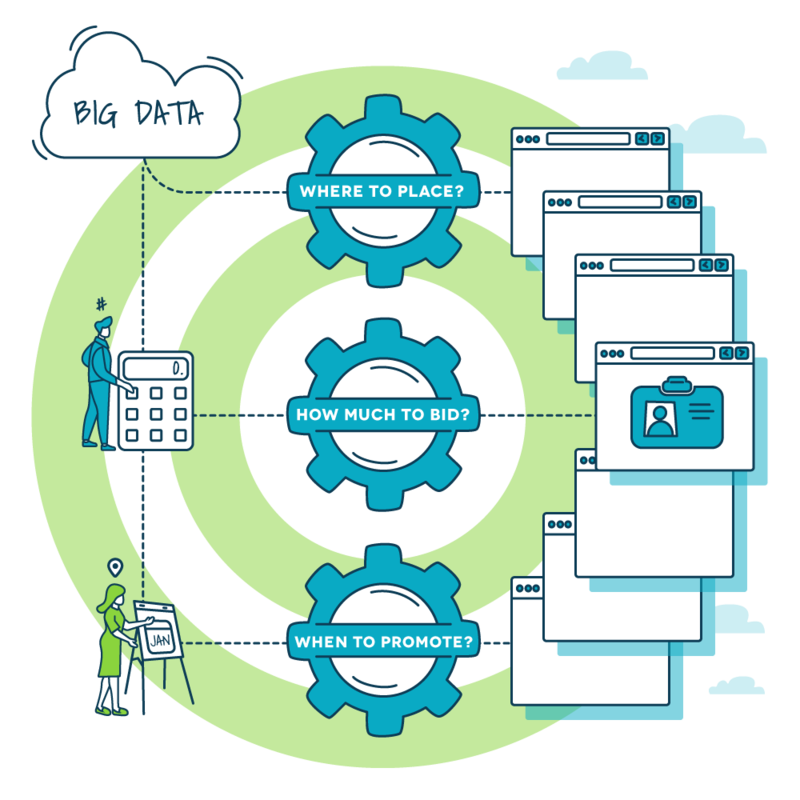 Not only does the predictive data offer valuable upfront insights to employers, it also serves as the instrumental benchmark used by other algorithms throughout the programmatic campaign process. 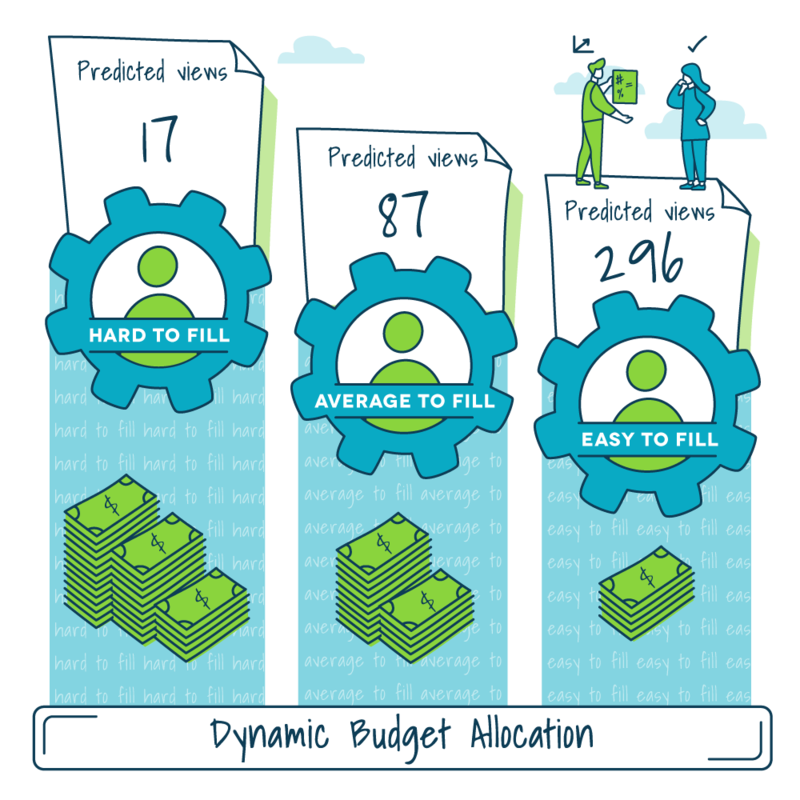 pandoIQ’s Budget Allocation algorithm leverages the power of predictive performance data to recommend the optimal media spend and allocate the budget in the most efficient way in order deliver the best performance possible across all of the employer’s jobs. This way, harder to fill jobs get the additional spend required to attract applicants and unnecessary spending on easy-to-fill jobs is eliminated. 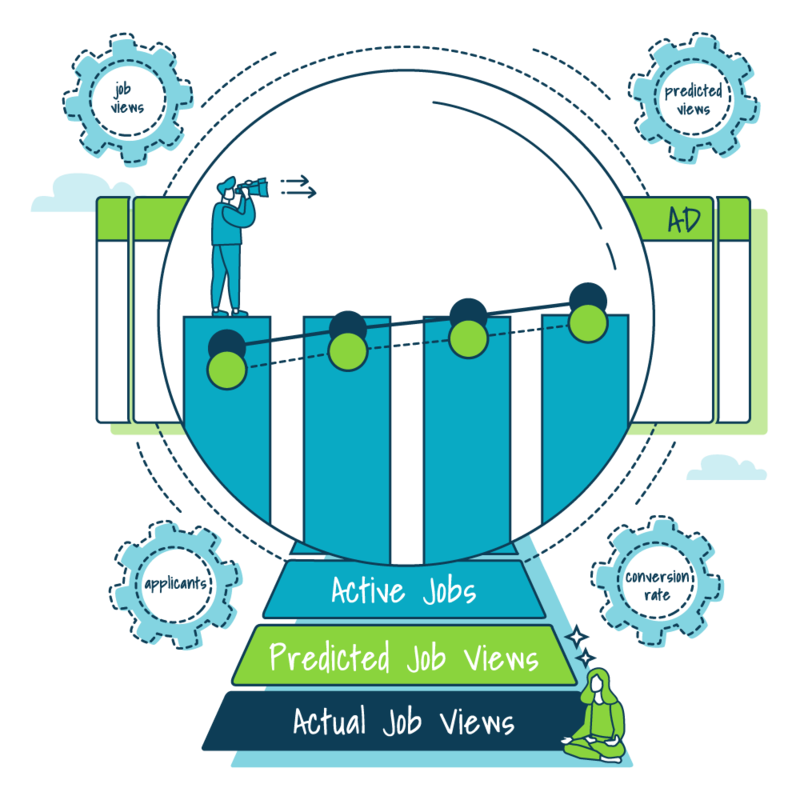 pandoIQ’s Targeting Algorithm assigns and activates a highly-targeted and fully-automated ad distribution strategy for each job ad based on its classification. In addition to determining when and where to allocate your ad spend, the targeting algorithm automates everything in the ad placement process including directing the candidates you want directly to your ATS to apply. 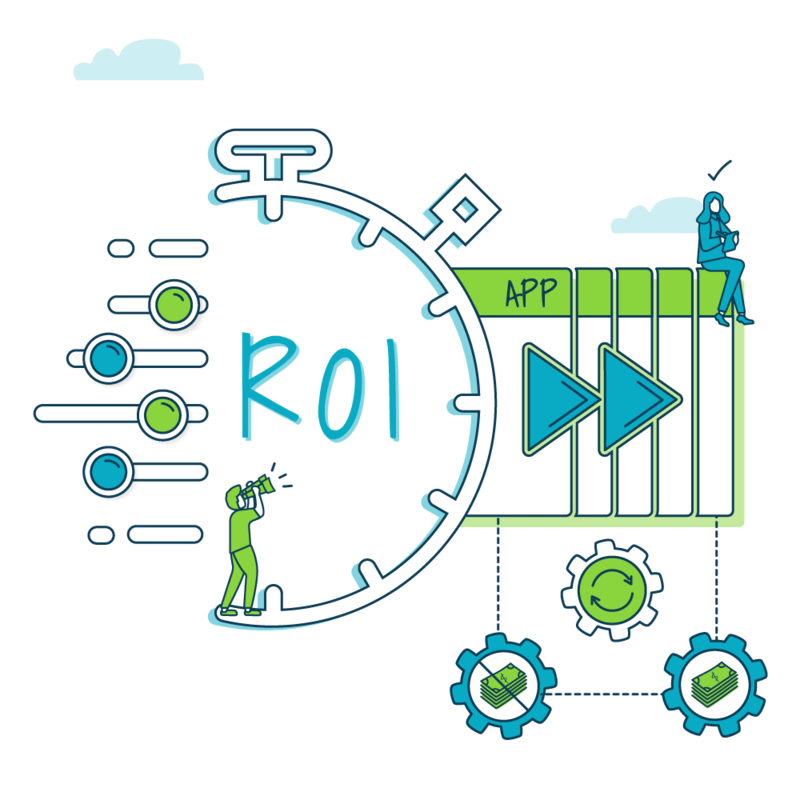 Optimization algorithms continuously monitor actual performance compared to the predictive benchmarks by job, by source, as well as across the entire spend. When the performance dips below prediction, the algorithms make real-time campaign optimization decisions related to available budget, bid rates, site targeting strategies to generate more applicants and prevent wasteful spending. AI can help automate and improve everything in your recruiting process from job advertising to applicant engagement. Learn why AI is the next big wave for talent acquisition.